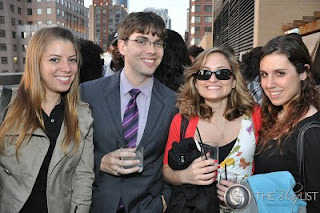 At the Press Lounge on the rooftop of the Ink 48 Hotel. To stay true to my whole idea of sharing events that I would personally go to, I've decided to take time out once a week to share my experiences at some of the places around the city that I've visited for those times when there aren't any worthy free events to go to. I'll try to give a breakdown of the best times to go, what to eat/drink or in that case what not to eat/drink and the kind of crowd from what I've seen. I'll also try to bottom line it, since as fellow NYers you're probably like me and don't read the fine print. 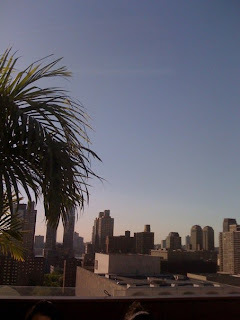 I'll start with the rooftops spaces this week since it's getting colder and they won't be relevant for much longer. Bottom Line: Wouldn't have gone here if there wasn't an open bar. Go right after work for the view and free booze. Get in and get out! The last time we went to the Empire Hotel, we actually planned for a place to go afterwards since we knew from experience it would fizzle out. 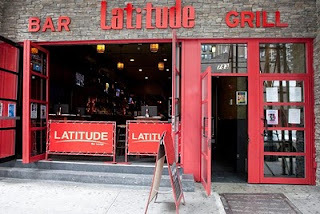 Latitude is one of my favorite low key bars in the city because they're super cheap, have great food and a great laid back ambiance, which is an important option to have after downing drinks at a chaotic open bar! Cons: Rooftop closes at 10pm because of neighbors...LAME! Bottom Line: Come straight from happy hour, get the wings and fries with the trio of dipping sauces and stay on the rooftop until they kick you out! 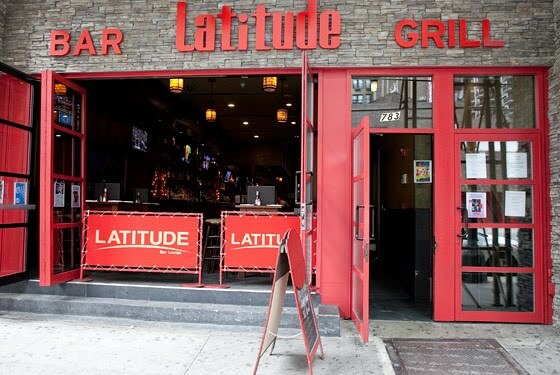 Right across the street from Latitude is High Bar. Now, don't get me wrong, the place is gorge, they have a great view and when I went there for a Thrillist party, I had a blasty. That being said, I have nothing good to say about this venue! Cons: Insanely expensive drinks, horrible service if you can find someone to serve you, and I'm talking even at the bar, crowd is super sketch once the sun goes down, most of the staff and the list goes on and on and on! Bottom Line: If you must go here and it's not for a corporate sponsored event, get A drink before the sun goes down, otherwise you're risking getting an STD by being in close proximity to the crowd that shows up! Also, don't go if you are with a group of guys, you'll wait on line forever unless you buy a bottle or sell your soul. Now, onto my favorite of the rooftop bars that I found, the Press Lounge at Ink 48. I've wanted to check this place out since it was covered in Time Out New York, and finally got an opportunity to once my roomie and I set aside time in our outlook calendar! The picture in the beginning of this article was taken there and had breathtaking panoramic views. You're going to want to get there early since a line does form as the night goes on. Pros: Amazing panoramic view of NYC, young sophisticated yet unpretentious crowd, great decor, cool lighted pool in the middle of the modern space. Cons: No music outside (whaaaat?! ), drinks are kind of expensive ($14 for a flute of Prosecco), and if you get there too late you risk not getting a place to park. Bottom Line: Go before 11 and you'll be fine, but this is not a place to dance up a storm! Thanks for the reviews. Have you been to the Delancey on the LES? They have a nice roof deck. No view, but it's really chill. Reminds me of the roof of Kapital, in Madrid, with crazy wild floors of dancing below, but a nice chill atmosphere on the garden like rooftop above. Check it out if you haven't. I'm enjoying your reviews! 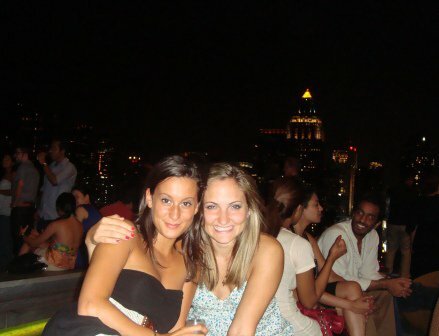 Hope you will check out my blog for downtown stories of dining, dating, and debauchery!